Macessity knows how to attach a silver lining to your precious Apple products. The LowKey Stand is yet another accessory from Macessity that redefines your Apple experience. Specifically designed for Apple’s slim keyboard, the sturdy stand is made of 0.1085-inch thick steel and powder coated in aluminum to match your iMac or Apple Display. Besides providing a comfortable nest for your keyboard, the sophisticated stand also provides tabletop space for any size of Apple Display or iMac. The sturdy stand can support up to 35 pounds. Apart from it’s beautiful appearance, the LowKey Stand is also highly functional. 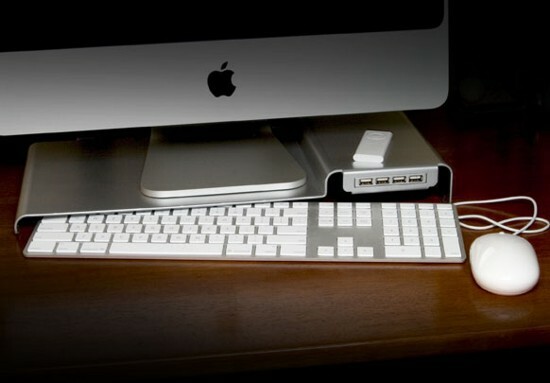 It includes a self-powered, front access 4-port USB2.0 hub and a compact power adaptor. 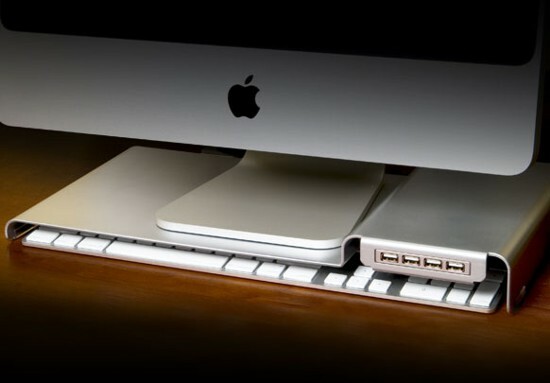 All in all the LowKey Stand is the perfect desktop solution for Apple or iMac users.